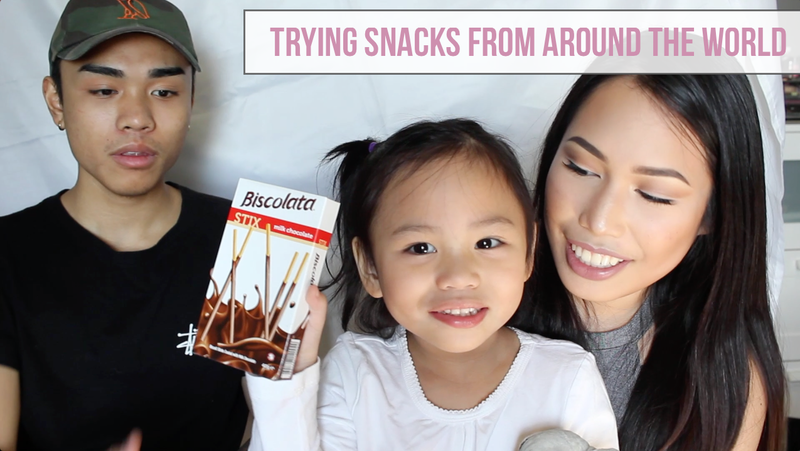 MunchPak kindly sent me a Munchpak Mini* box and I thought it would be fun to do a reaction video of my boyfriend, daughter and I trying these snacks for the first time. Hope you enjoy this vlog! MunchPak is a subscription service for snacks. But not just any snack that you could just buy at your local grocery store; they have hundreds of snacks from all around the world. This is a fun service that you could use to get your hands on treats that may not be readily available in your area/country. If you like to try new things, this just might be the subscription service for you! Or if you're not interested in subscribing, you may also purchase the snacks by themselves. The lovely people over at MunchPak were also kind enough to offer a discount code to my readers - Use the code "GLAMSURGE" at checkout for $$ off your order! Which snacks have you tried (and loved), away from home, that aren't available in your country?